In 2017, Craig Casey's burgeoning rugby career was progressing nicely. The Shannon man captained Ardscoil Rís to the semi-final of the Munster Schools Senior Cup and captained Ireland at U18 schools level. He had joined the Munster academy and played in the U18 International Series. His knee, his back, his other knee. Three different surgeries. He missed the entire 2018 U20s Six Nations. Frustrating, but not deterring. 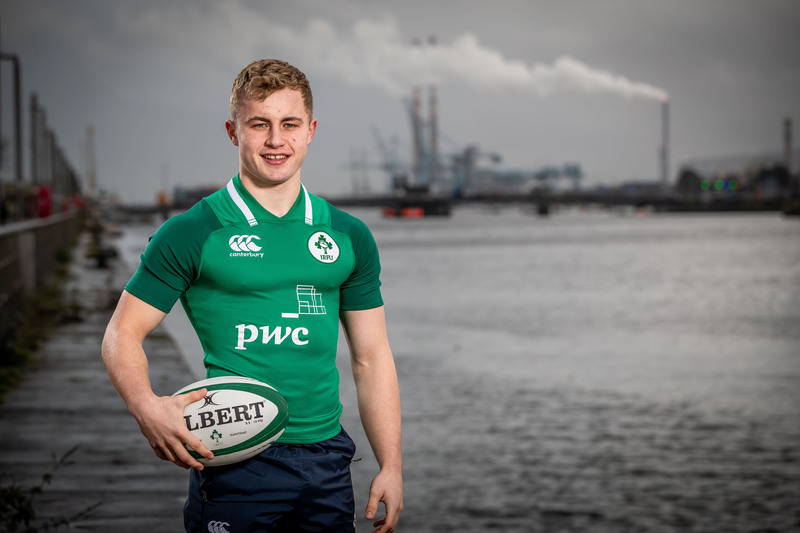 He drove on, determined to make up for lost time and played a star role in the Ireland U20s 38-17 win over a Leinster Development XV at the end of the year. Casey is now set to operate as vice-captain of the side, who open their Six Nations campaign against England in Cork on Friday week. The relief at getting back on track is apparent. "I was actually out for 14 months. I've had three surgeries," he explains. I got injured in a warmup against Leinster but I didn't realise how serious it was. I played that full game with the (knee) injury and obviously, that made it a lot worse. So I got the surgery at the start of the summer. It was a meniscus. Wasn't too serious but then I had an ingrown hair on my lower back, so I had to get that removed and that scar, working with the knee rehab, it didn't really help each other. That kind of set them both back for about eight months together. When I finally got back on the pitch, I did two weeks of preseason and I tore the meniscus in my right knee. Left knee first and then the right knee the second time. I missed about seven weeks of preseason and only got back, I think it was the end of October. Frustrating enough. Obviously, I was in the loop last year for all of this, being in the camps and stuff like that. Look, I think you just deal with it. Injuries happen. Casey is quick to credit the coaching set-up in Munster for their support and advice during the recovery process. His is a refreshing attitude, the bigger picture loomed large and perseverance paid off. "I think there's a lot of support in Munster, in fairness. You're always kept in the loop with the seniors. If you want to meet the senior coaches, they're open to it. "But at the time my sister (Amy) had a fairly serious back surgery. Just kind of seeing her trying to walk again and stuff like that, that's kind of inspiring enough. Your injuries go to the back of your mind really and you just get on with it, you're happy to be training and happy to be walking around." Rugby is steeped in the Casey household. His uncle is former Munster versatile back, Mossy Lawlor. Casey has followed in his footsteps at AIL level with Shannon and is hoping to do similar for Munster. Before that, comes the challenge of last year's World Rugby Championship finalists. England in Irish Independent Park. In 2018 they dished out a 48 – 15 hammering to Noel McNamara's outfit in the same tournament but not for the first time, it is a bright future, not a troubled past that Casey is concerned with. "Yeah, we've talked about that between the leadership group. 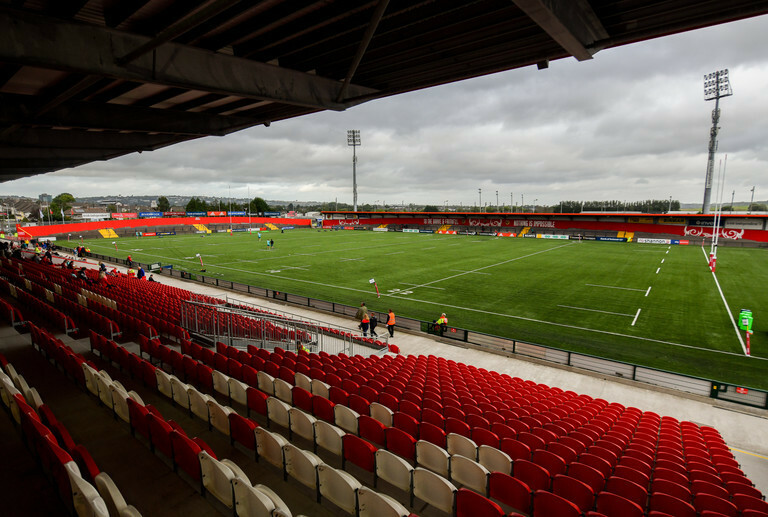 Not just for the Munster lads, for the Irish U20 lads, it's now our home and we're the only international side to play in Cork. I suppose if we do it well, hopefully, we'll get a big massive crowd out for us and build on it for years to come."